Fernando Alonso's post-F1 motor racing career has begun in fine style after he and his Wayne Taylor Racing team-mates survived - and won - the rain-affected Rolex 24 Hours of Daytona. The two-time Formula One champion raced alongside ex-F1 and endurance racing regular Kamui Kobayashi, as well as former Daytona winners Jordan Taylor and Renger van der Zande, to guide the #10 Cadillac to the first major motorsport honours of the year. 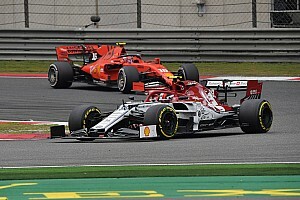 After some earlier retirements for front-running teams such as the #6 Acura (piloted by Juan-Pablo Montoya, Simon Pagenaud and Dane Cameron) and the #5 Cadillac (belonging to last year's winners Christian Fittipaldi, Filipe Albuquerque and Joao Barbosa), the race became a multi-hour three-way scrap for the lead. With the weather playing havoc with the race, officials had no choice but to throw dozens of 'full course yellows' to clear bodywork and stricken cars, whilst a mid-race red flag period interrupted the event. A final red flag period in the last couple of hours paused the race once more but, with efforts to clear the standing water proving fruitless, the chequered flag was waved ten minutes early when it became clear the race would not restart before the 24-hour mark. The decisive race-winning moment came not long before the final stoppage when the #31 Action Express Racing Cadillac - piloted at the time by ex-F1 driver Felipe Nasr - ran wide at turn one, handing the lead to Alonso, who had been completing some impressive wet-weather driving. “It’s amazing,” Alonso told NBCSN. “Just an amazing experience with this team, from the test and now the race – a perfect execution of the race. 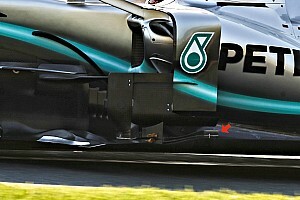 “Very different conditions, and we’ve been competitive in everything – dry, wet, night and day. Really happy for the team and all the guys. 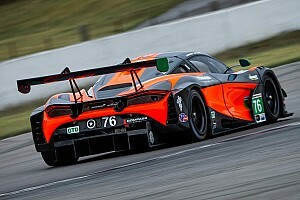 Nasr, along with team-mates Pipo Derani and Eric Curran were classified as second, with another former Formula One driver Alexander Rossi being part of the third-placed #7 Acura ARX-05 team along with Helio Castroneves and Ricky Taylor. 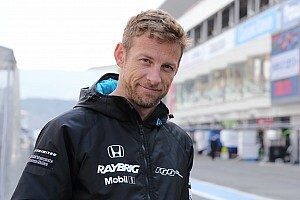 The win is another triumph in Alonso's expanding motorsport career; he took victory at the 24 hours of Le Mans last season, and currently leads the 2018-2019 World Endurance Championship. The current WEC calendar includes two attempts at Le Mans, meaning Alonso will have another attempt at winning the illustrious event. 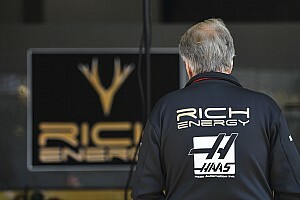 He will also make his second attempt at the Indy 500 race later on in the year. Elsewhere at Daytona, there was an LMP2-class victory for the #18 DragonSpeed Oreca-Gibson belonging to Pastor Maldonado, Roberto Gonzalez, Sebastian Saavedra and Ryan Cullen, whilst a hotly-contested GT Le Mans class was won by the #25 BMW M8 GTE of Philipp Eng, Connor De Phillippi, Colton Herta and Augusto Farfus. The second BMW entry - the #24 car headlined by the ever-popular Alex Zanardi - picked up steering column damage and a mid-race puncture, putting them out of contention. BMW dedicated their GT Le Mans win to the late Charly Lamm, who guided BMW to a host of motorsport triumphs in the touring car and sports car scenes. Finally, the GT Daytona category was won by 2018 winners Grasser Racing, with the Lamborghini Huracan being driven by Rolf Ineichen, Mirko Bortolotti, Christian Engelhart and Rik Breukers.